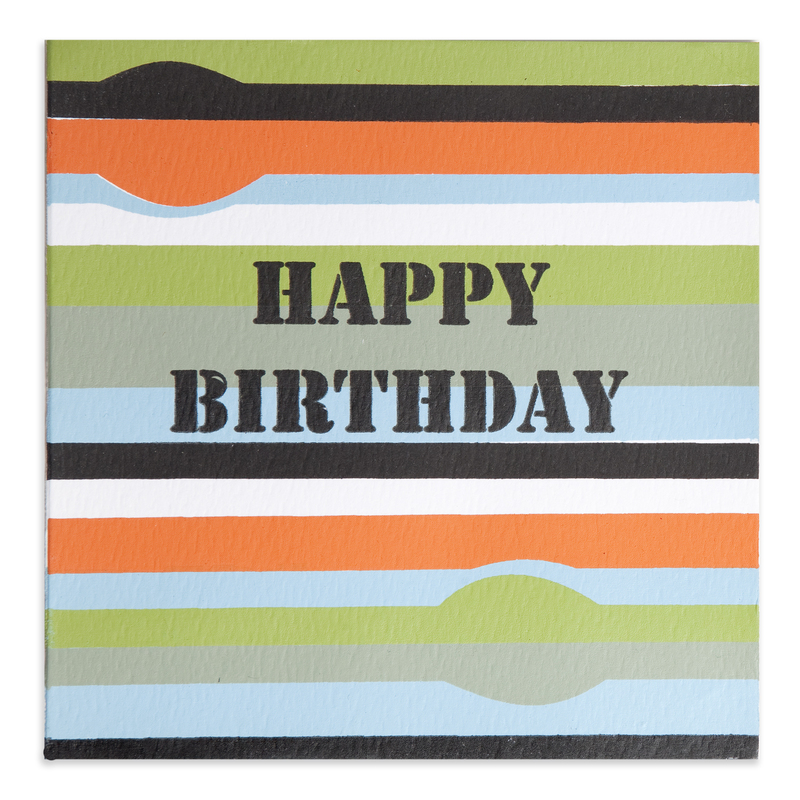 Say happy birthday with this colorfully striped card! Send a happy birthday wish to the special man in your life. 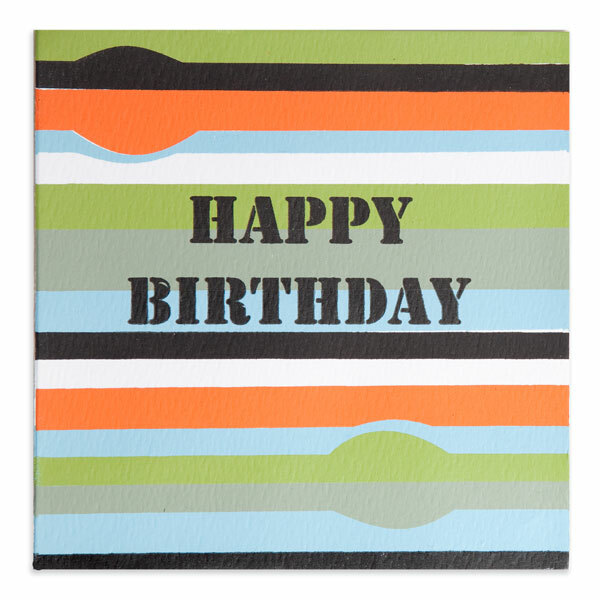 Designed with a striped pattern of green, black, orange, light blue, white, and grey. Made by CraftAid artisans on the island of Mauritius. Provides jobs for those with disabilities and women who are responsible for providing for their families. 5.5-by-5.5-inch envelope included (extra postage required). Single card. CraftAid, founded in 1982, provides jobs for people with disabilities (about 46 percent of current employees have disabilities.) Many of the artisans are hearing-impaired. CraftAid also employs many women responsible for providing for their families. CraftAid changes lives. Raima, a hearing-impaired artisan for CraftAid, found friends and contentment through her work. She also found Tana, her husband. Now they are married and have a son. Through their work, they can provide for their young family in Mauritius.